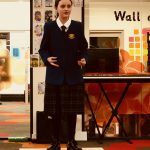 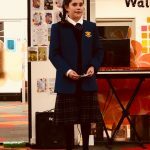 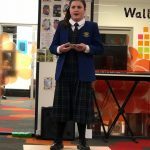 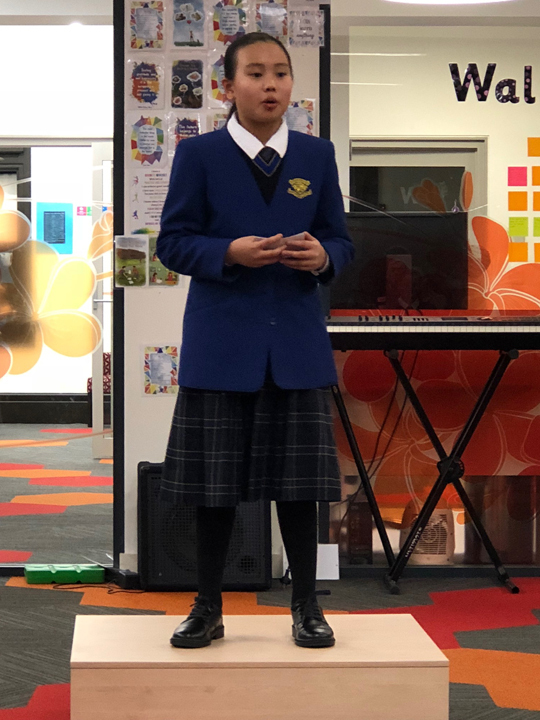 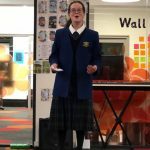 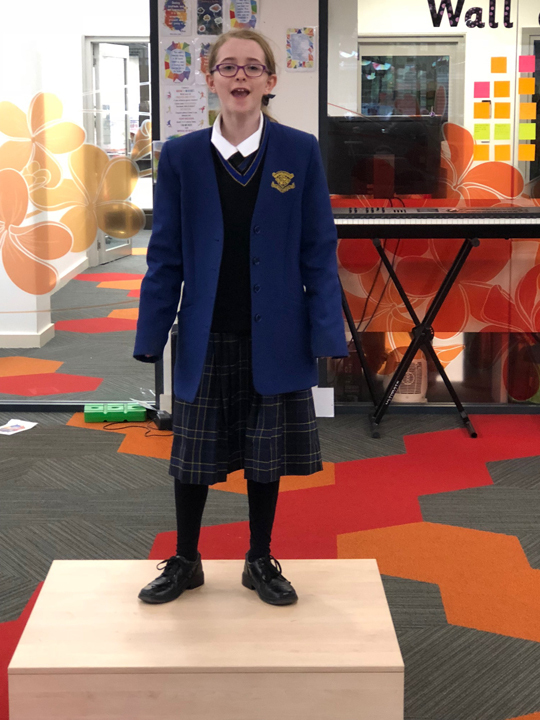 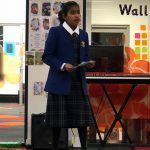 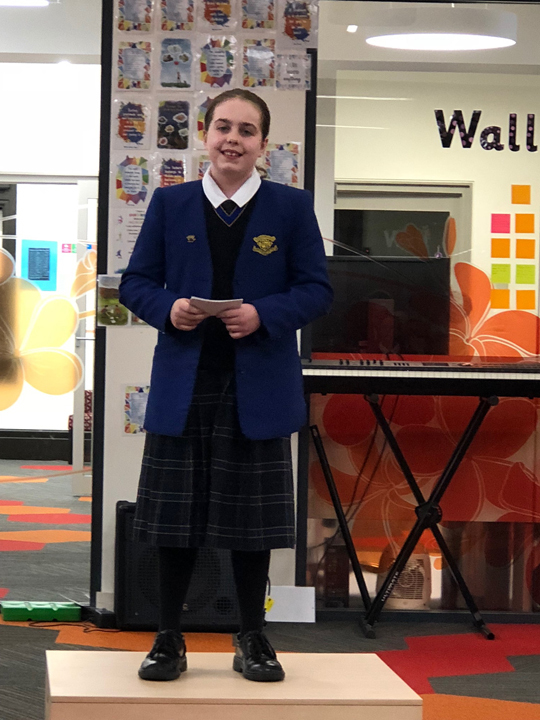 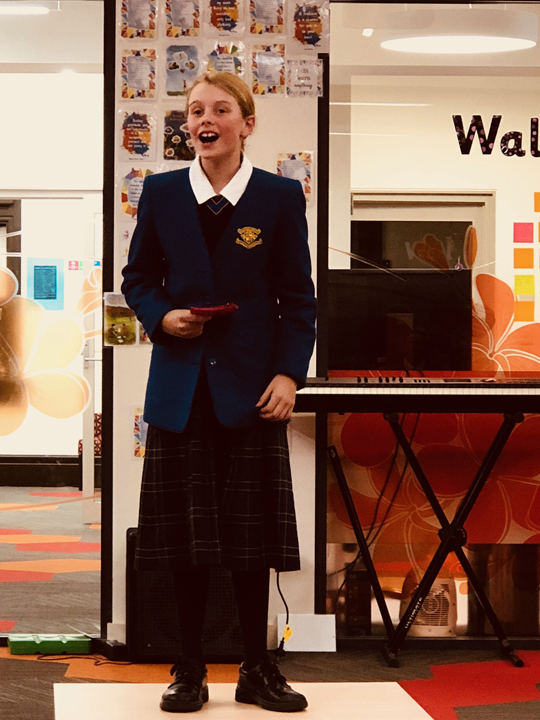 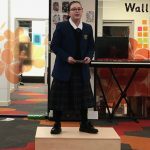 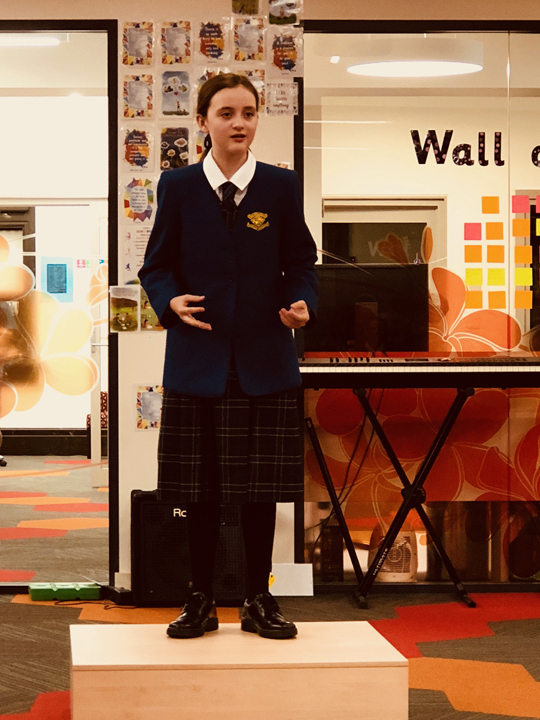 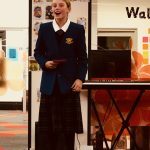 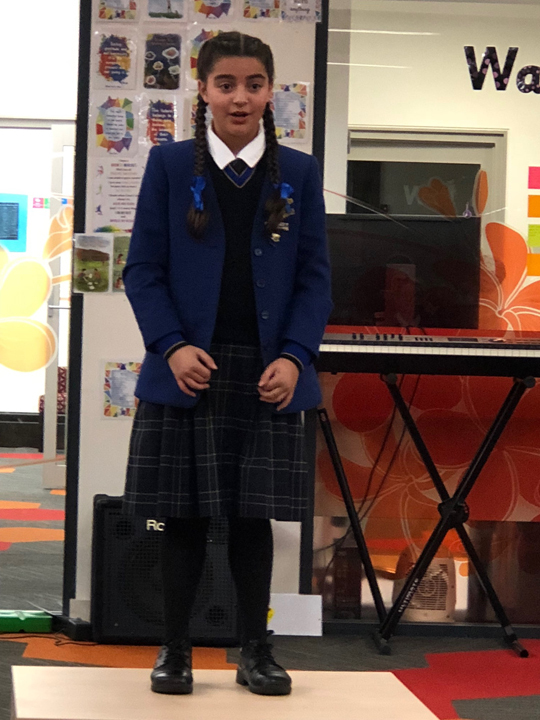 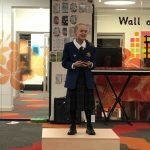 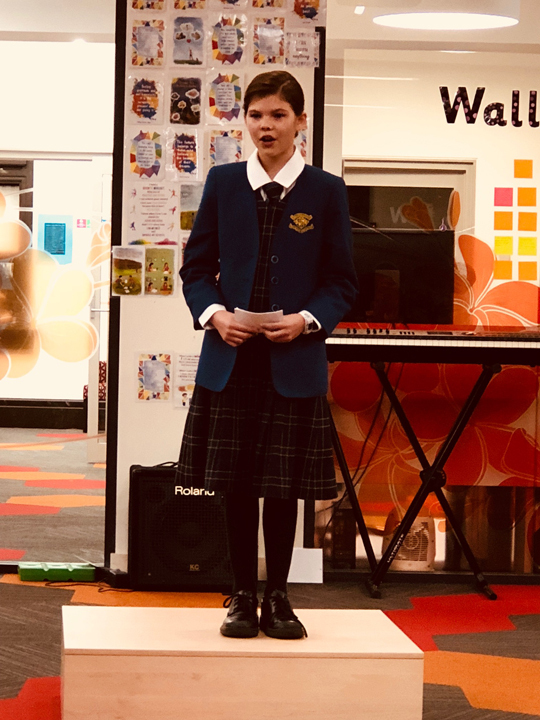 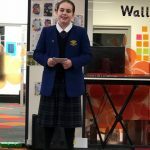 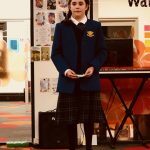 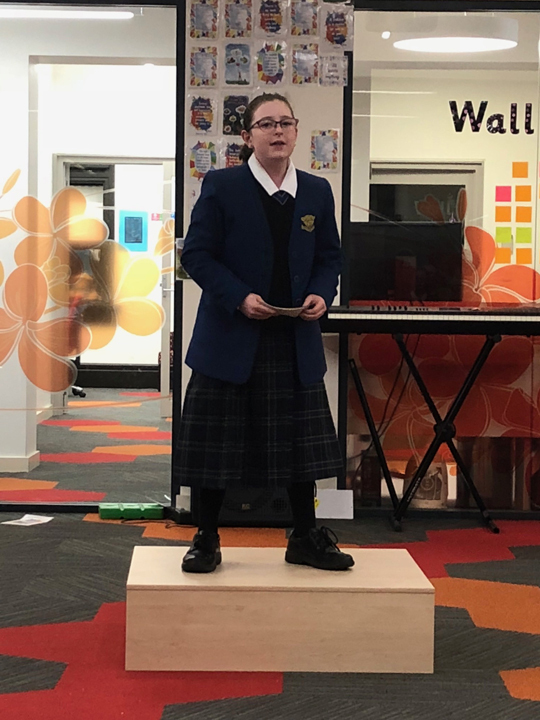 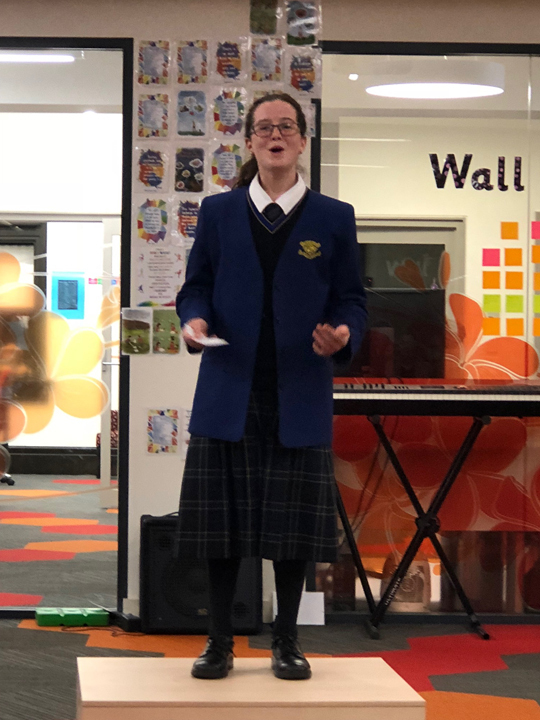 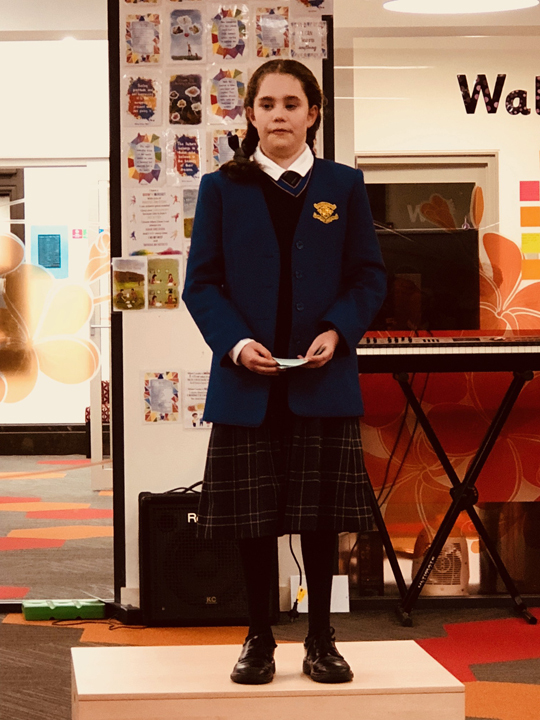 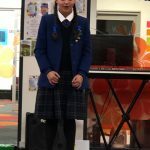 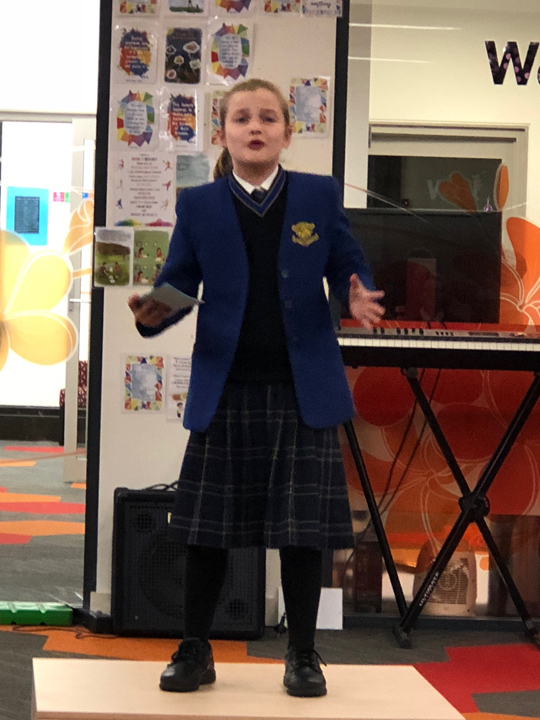 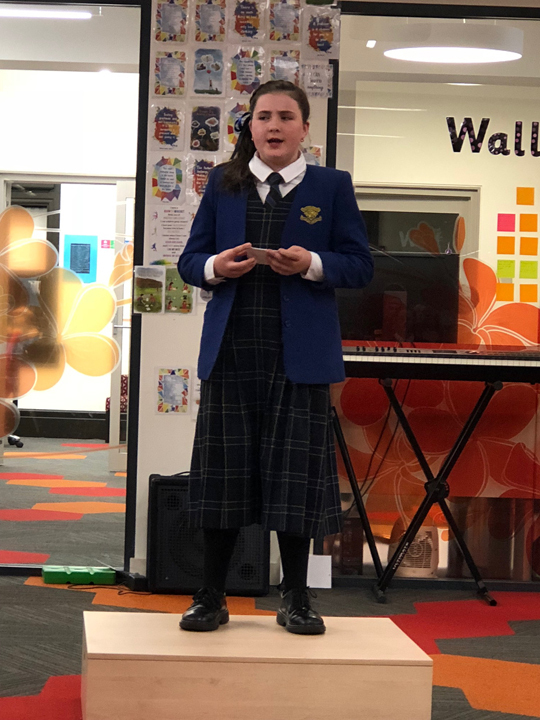 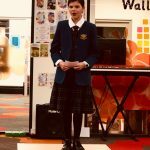 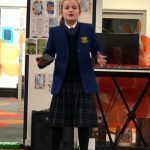 On Tuesday 19 June we were treated to a wonderful evening of outstanding entertainment at the Public Speaking Competition which represented the culmination of a process of devising, refining and rehearsing speeches on topics that have captured the interest, imagination and passion of each of the girls. 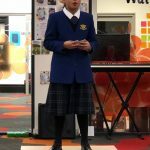 All our Years 5 and 6 students are to be commended on participating in this process. 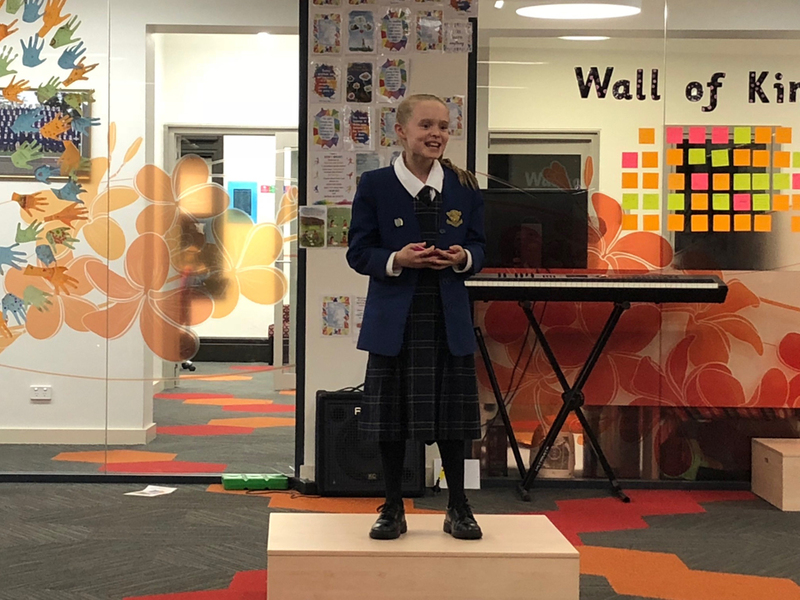 We had the pleasure of witnessing thought provoking speeches ranging from the courageous story of Meena, to the Ironman World Championships and Teleportation Imagination. 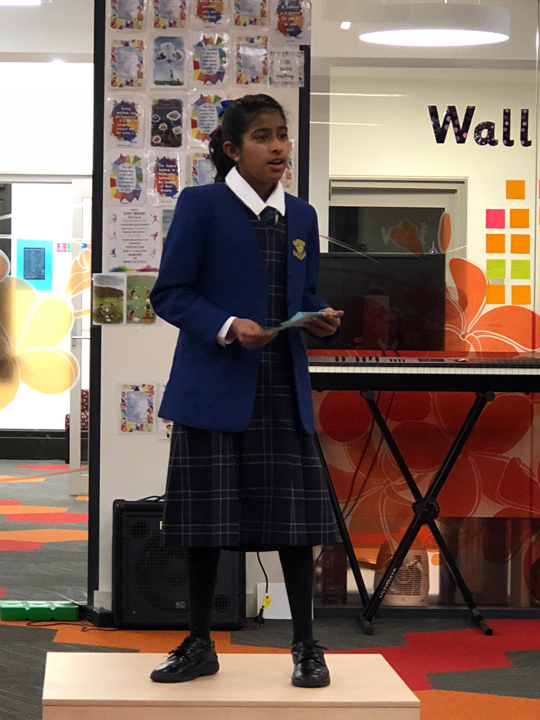 The adjudicators had a very tough decision and in the end awarded Annabelle Whelan third place for her speech about Space, Tahlia Moses second place for her moving speech regarding a ‘Voice for Meena’ and Lucy Harrison first place for her speech ‘3 Day Weekends Should be Permitted’! 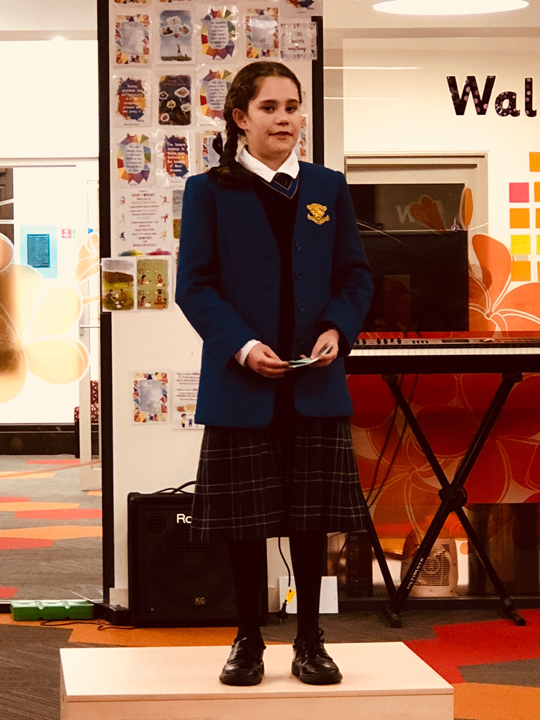 Thank you to Mrs Woods, Ms Russo and Ms Reid for their adjudication, the Primary staff for attending the evening, to parents for their support and of course the girls for showcasing their skill, inspiration and curiosity. 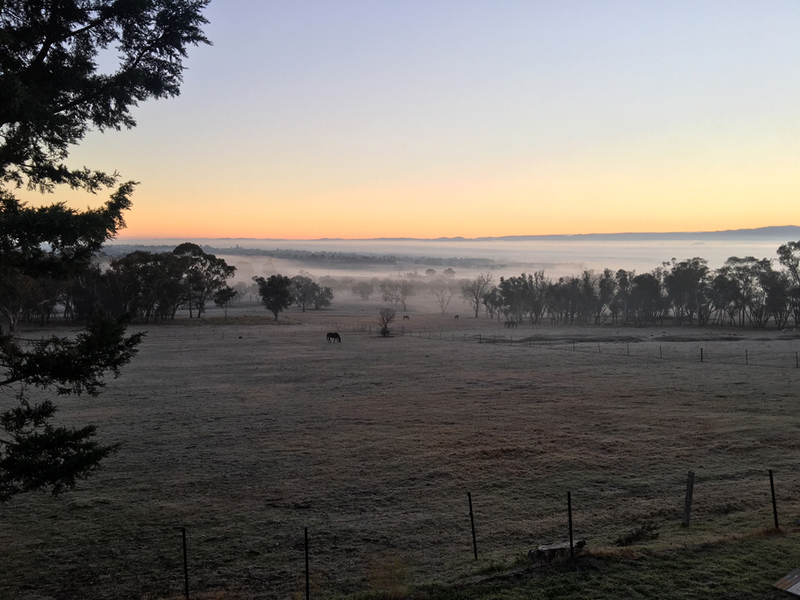 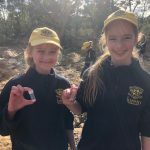 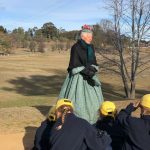 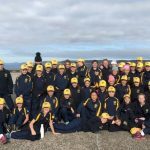 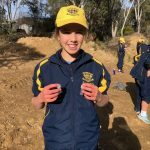 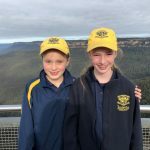 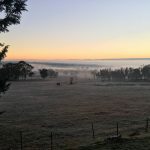 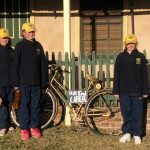 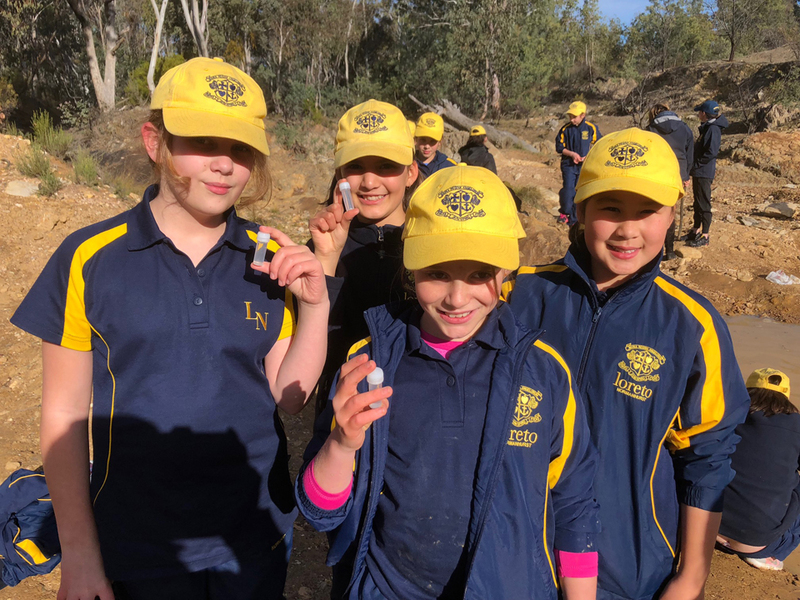 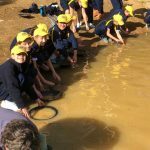 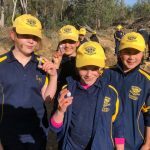 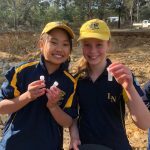 Year 5 arrived in Bathurst on camp on Thursday. 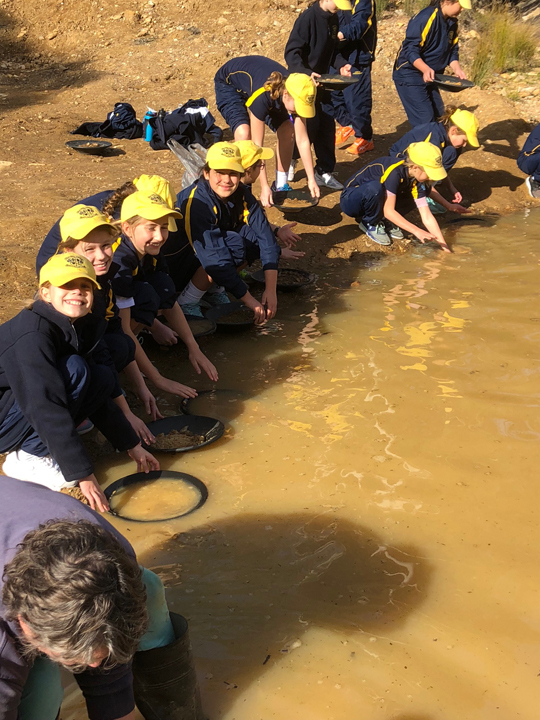 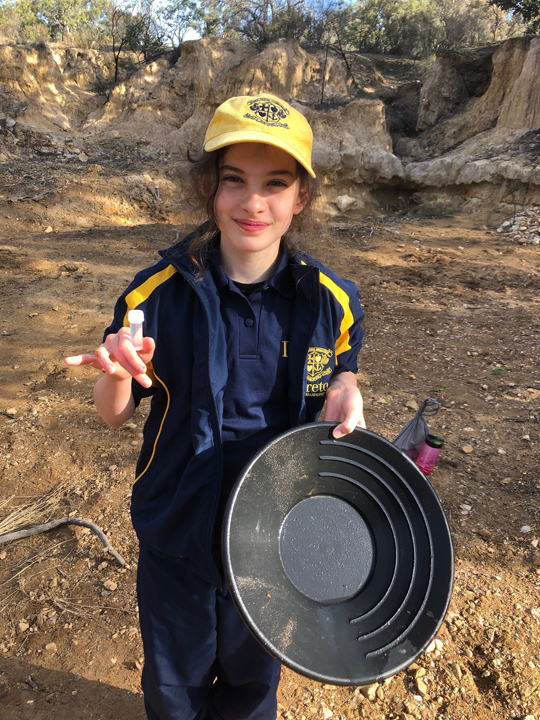 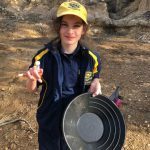 Our first activity was the highly anticipated panning for gold. 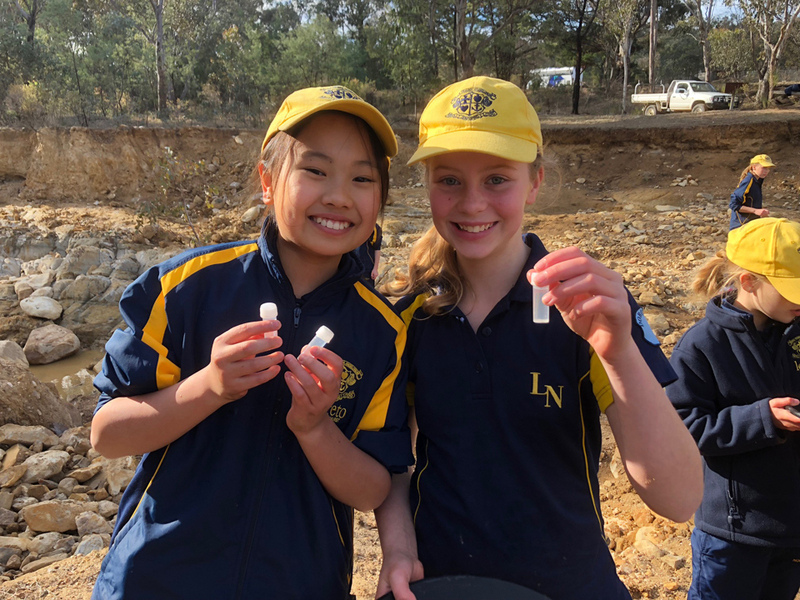 The girls took to it with gusto and filled their vials with tiny specs of gold. 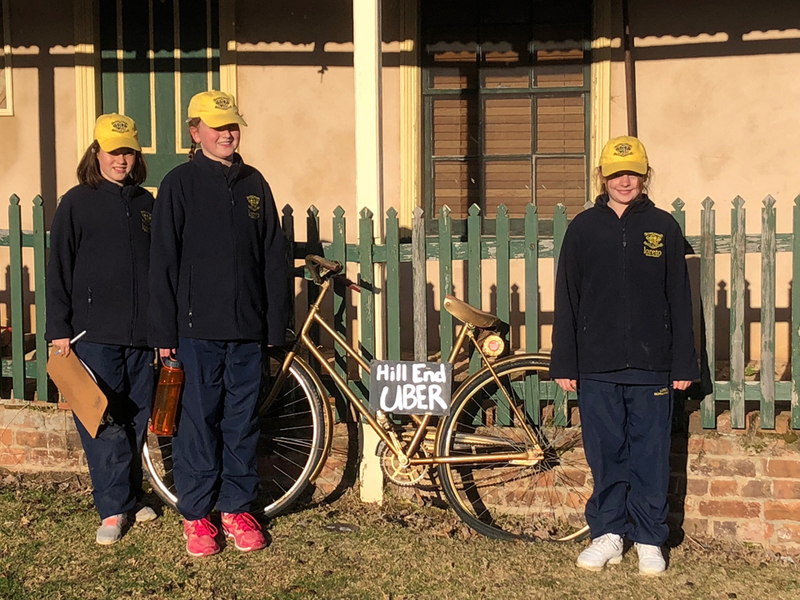 As we approached the town of Hill End, we passed the local school which was opened in 1870 and had a total enrolment of 11 students. 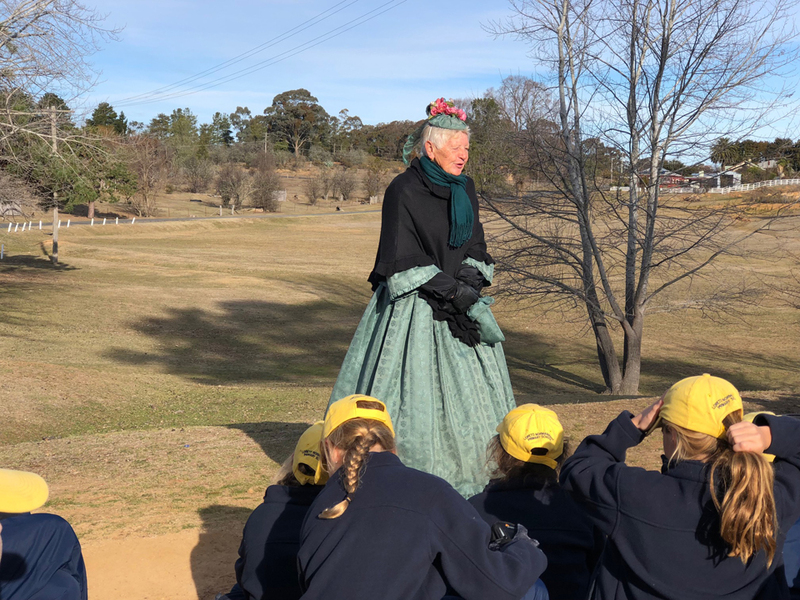 Lorraine, our guide, who was dressed in period costume, showed us the centre of town and explained what it was like in its early days. 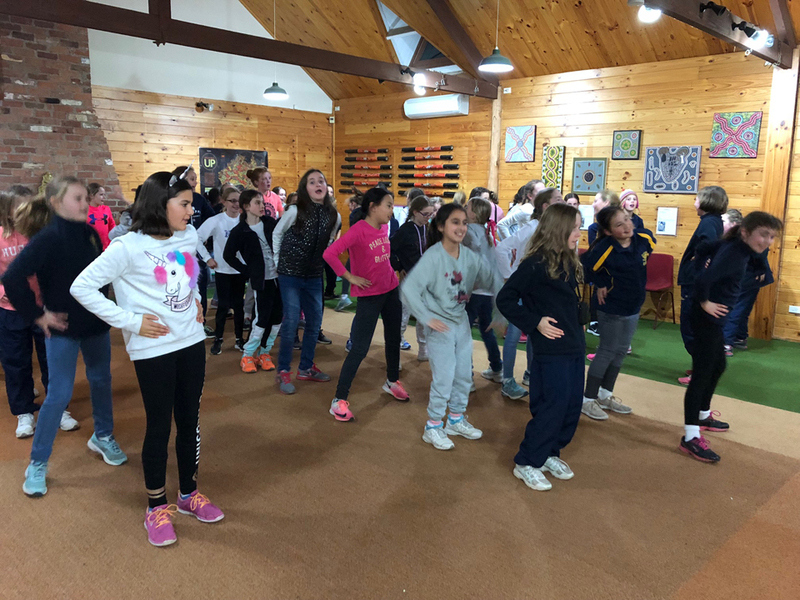 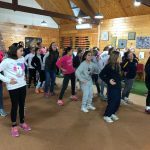 The day concluded with some fancy footwork as the girls took part in a line dancing class. 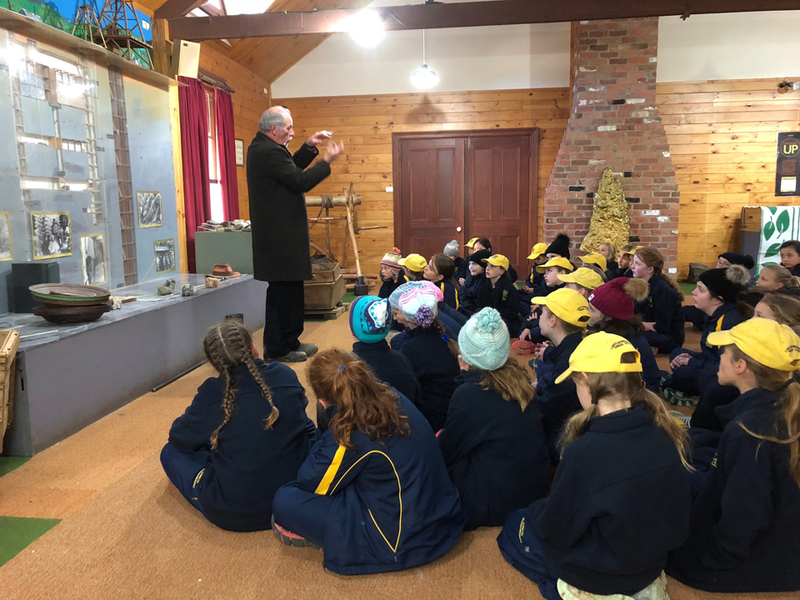 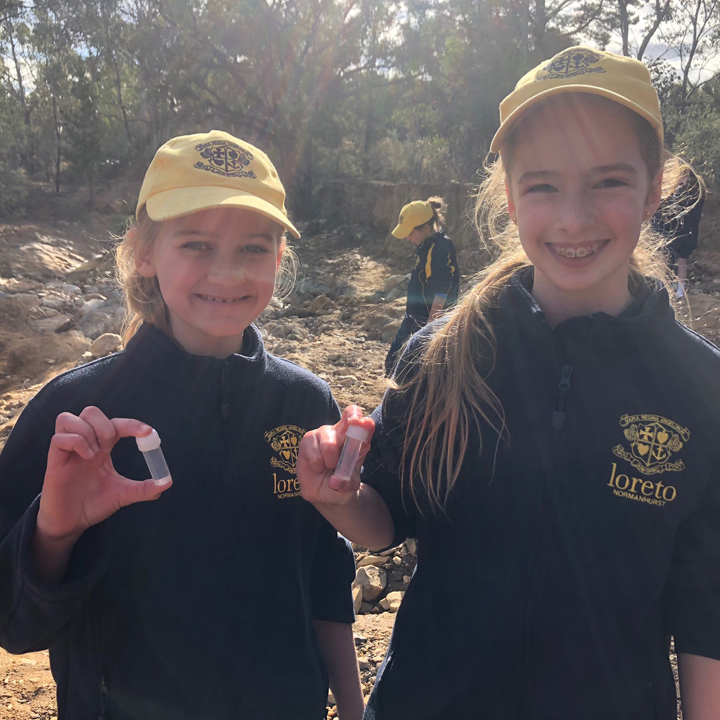 Today we are looking forward to exploring the museum and having a second opportunity to find that elusive speck of gold. 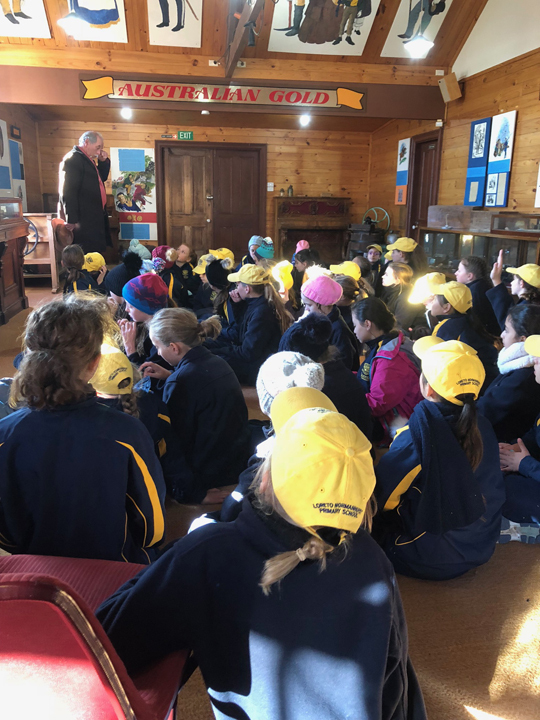 We will then explore the souvenir shop before we begin our journey home. 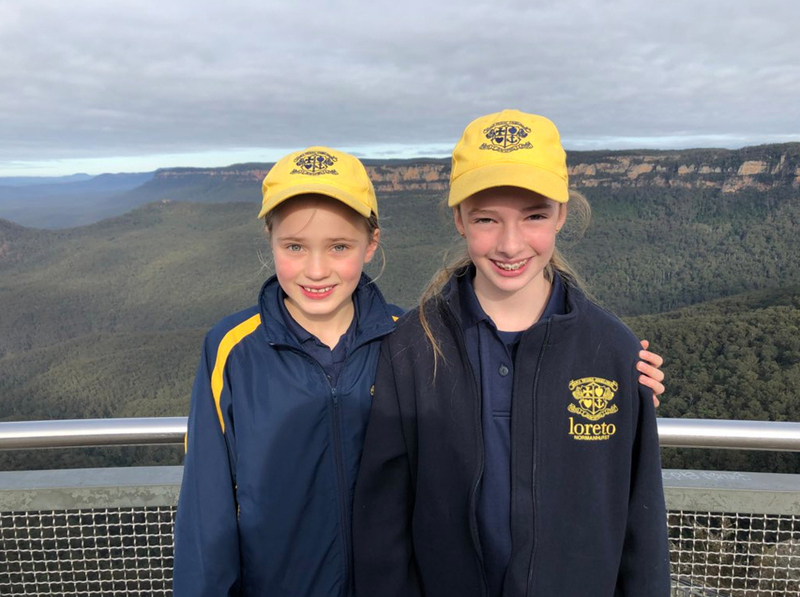 The girls were complemented on their excellent manners and we are very proud of the way they conducted themselves. 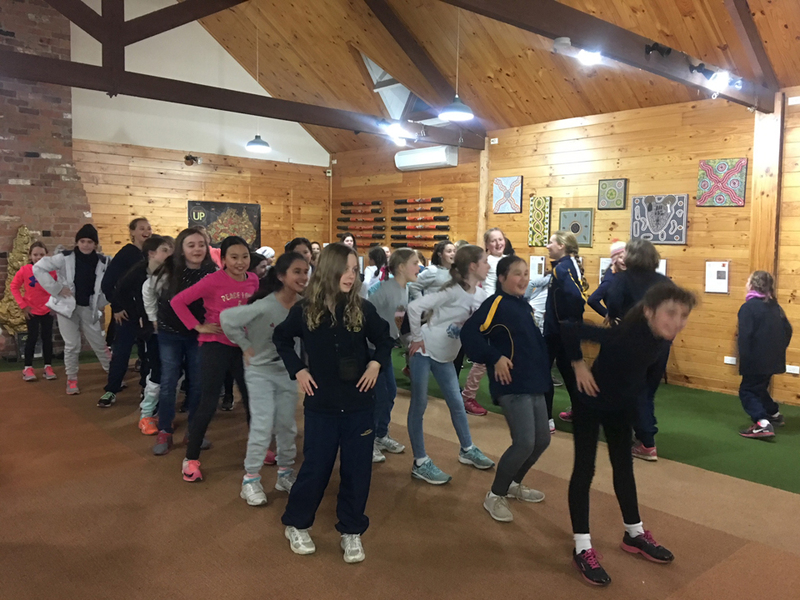 Thank you to Mrs Cesamolo and Miss Best for accompanying the girls. 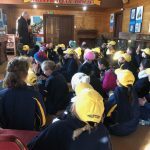 We welcome Mr David Alagna to Loreto Normanhurst as the teacher of 5A. 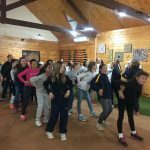 Mr Alagna comes to us with 17 years of primary teaching experience, having worked in other independent schools in Sydney. 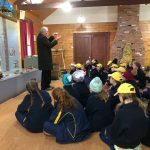 Mr Alagna is passionate about teaching literacy having completed his Masters in this area. 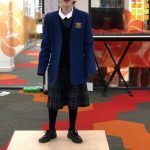 Parents will have the opportunity to meet Mr Alagna at the Year 5 Science Fair next term. 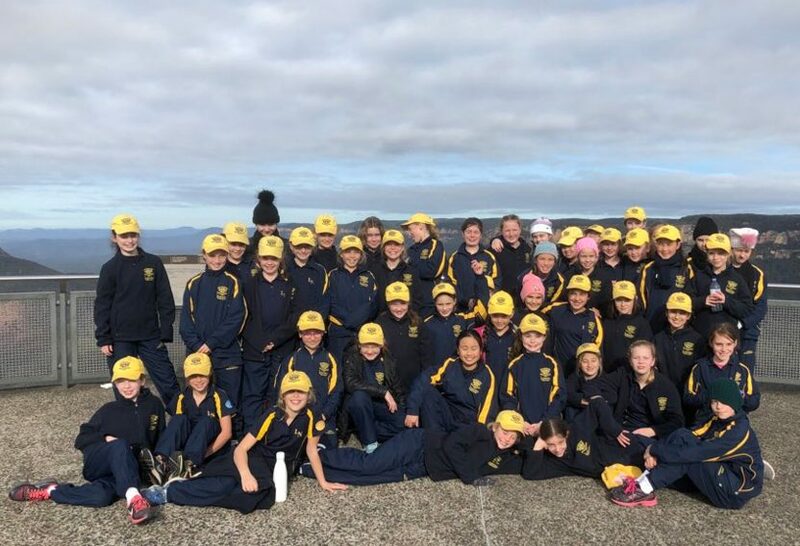 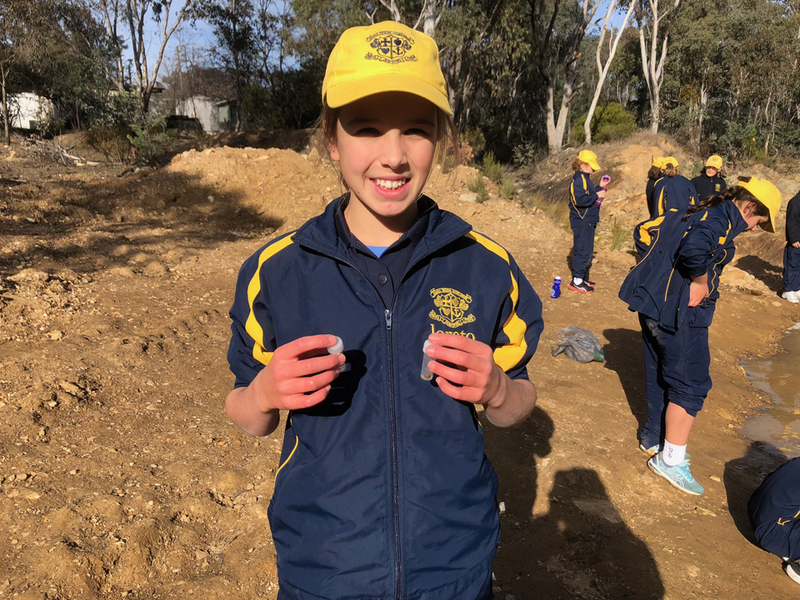 We look forward to seeing our families at the Primary School Athletics Carnival on Monday 25 June from 10.30am-12.30pm.